If you want the only the best birthday gifts for Dad this year, you've come to the right place! There are numerous avenues to express how important he has been in your life with the present you choose for his birthday. Think about his hobbies. Does he have any interests that take up most of his spare time? Brainstorm ideas from his personal traits that will express how you value his uniqueness. He will feel extra important when he sees the thought and love that went into a birthday present reflecting his individuality. If he loves to grill and host bbq's, he will be really easy to buy for! Everything from grilling tools & aprons to gourmet meats & spices are awesome gifts. For an extra touch, have the items personalized or package them in a grilling gift basket! Books or magazines on a topic of interest to him are perfect birthday gifts for Dad! You can find books and magazines on everything from travel, sports, and cookbooks...to photography, crafts, poetry, pottery, home improvements, & home decor. Some new fishing gear is the perfect gift for the outdoorsman! If he is a golf lover, a golf gift basket is a guaranteed hit! Give him a gourmet experience… like a gourmet gift basket or a special dinner treat at one of the top restaurants in your city! 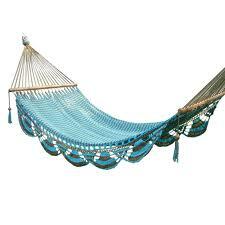 Get him something that will entice relaxation and comfort in his own backyard… his very own hammock! You're father will be thrilled he doesn't have to do the yard work for once. Some great birthday gifts for Dad are coupons he can redeem through you…or a hired landscaping service to take the weight off him! Give him an ipod or CDs of all the popular songs from the year he was born... when he was 16, 18, 21, 30, etc. and any other meaningful years… like the year of his wedding, children's birth dates, etc. Add any songs you share together that have special meaning or that remind you of him. Finding the origin of his name and engraving it into something tangible, like a photo frame or a bracelet is a unique and meaningful gift that will make him feel extra special! Everybody, no matter what age, loves to be pampered. Get him a day at the spa, a spa gift basket, or a massage gift certificate that will make him feel refreshed and ready for the next year of adventure! Get him tickets to an upcoming game or season tickets to his favorite local team. Make it a father/daughter or father/son excursion! If he likes scotch, you really can't go wrong by spoiling him with a top shelf brand with a taste of perfection! Wine gifts are always classy birthday gifts for Dad. You can't go wrong with a wine gift basket! Or get him a nice bottle of wine, or a unique wine holder, wine tote, cork screw, wine stoppers, etc. Have the items personalized for an extra touch. Or for the true connoisseur, a Wine of the Month Club Membership is a priceless present!.